Little Pixy Boots' Blog: Happy Easter, Everyone! 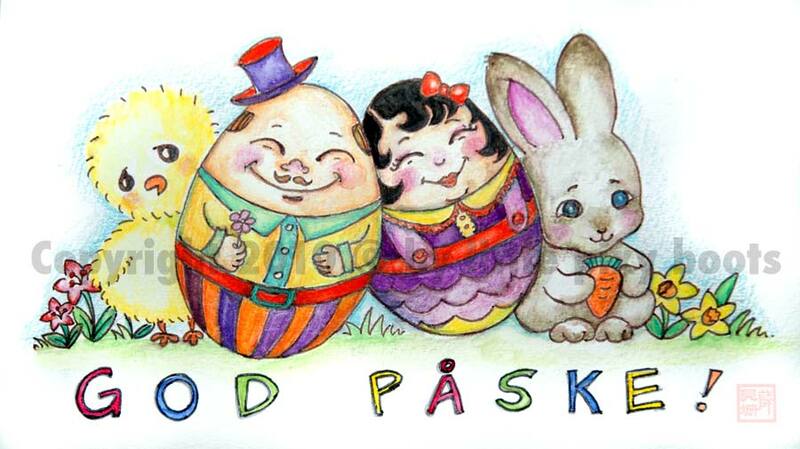 In Norway, the Easter atmosphere is much stronger than Singapore. It somehow feels like the true celebration of Spring, the coming of a new dawn. Many shops stock up on marzipan, chocolates and eggs. Art shops are filled with paper/cardboard eggs to paint and decorate, and it is almost a five-day holiday here. When I took a walk around the neighbourhood just now, everything was very quiet. It's as if everyone's busy going up to the mountains or celebrating indoors with their family.